Collagen, yep we all have it, we had it in abundance in our youth, with bouncy springboard skin, once again it's something else that Mother Nature ( bless her ) decides to rob us of as we get older, like it isn't enough to diminish my brain cells ! There is a divided camp on the use of internal Collagen Supplements, I am on the Pro Supplement team, we are the ones in the team wearing the red knickers. I totally believe in feeding the inside and as you know I will do anything to stave off Mother Natures personal attack on my face. 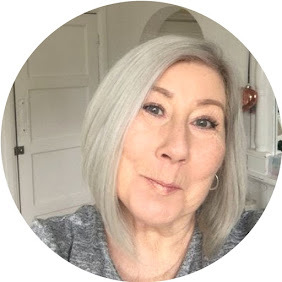 I was given the opportunity to try out Gold Collagen Forte which is designed for over 40s, quite cheeky really as I am only 59 they could have at least pretended I needed the younger version, hey ho. The Company tag line is "Skincare Starts With A Sip"
It is said to Reduce the appearance of wrinkles, Support healthy looking skin, hair and nails, Support skin hydration and elasticity give Protection against oxative damage. I had a 30 day program which included 3 packs of 10 x 50ml bottles, the bottles each contain 5000 mg of Hydrolysed Collagen, 34 kcal and a whole host of added Vitamins, including Zinc, Copper and Biotin. The little bottles were a convenient way of taking the product and great for if you are out and about, I took mine in the evenings, as while they are only 34 cals they are so sweet they served my sweet urge in the evenings for very few calories. They were popped straight into the recycle bin being glass. While taking Collagen there is a definite improvement in the moisture levels of my skin, making it plumper, brighter and I am sure I just feel generally better overall, my nails and hair also have shown signs of improvement, in that neither are as dry as they were. Do you use supplements to aid skincare ? let's chat, I would love your views. I have not tried the Choc Sandy, I may have to give it a little try, just the once, as you say a bit of an expensive habit though !